Since the city declared its intent to become “no kill” five years ago, thousands of animals have been rescued. But Austin’s growth means shelters continue to struggle with homeless pets, and saving them is a constant challenge. Some still don’t make it. We take a look at animal welfare efforts to see what we’ve achieved—and what we still need to do. It’s what happens to dogs confined in shelters: Sooner or later, their fear, isolation and loneliness turns into behavior that spells “unadoptable.” Before 2010, when Austin City Council declared a moratorium on killing sheltered animals due to overcrowding, you could feel the despair, the kennel crazy, throughout the old Town Lake Animal Center. And if you were a shelter employee or volunteer who’d grown attached to a pup or two, you hoped really hard that your favorites would not display any signs of it during the daily “dispo walk,” when decisions were made about whose time was about to be up. Between October 2008 and September ’09, a dog or cat that landed inside TLAC, the City of Austin Animal Services Department’s former headquarters, had a 50-50 chance of getting out alive. That year, 67 percent actually did. But the rest—6,050 to be exact, many of them perfectly healthy—did not. Today, the odds are far better. A healthy animal that winds up at Austin Animal Center on Levander Loop, which opened in November 2011, is likely to exit—alive—in 15 days, on average. Though the city had made previous attempts at going “no kill,” the turnaround began in earnest with that unanimous mandate to stop the killing. Since then, Austin has become the nation’s largest no-kill city, with a live-outcome rate now hovering at 94 percent (90 percent or better is the save rate considered successful by no-kill advocates). 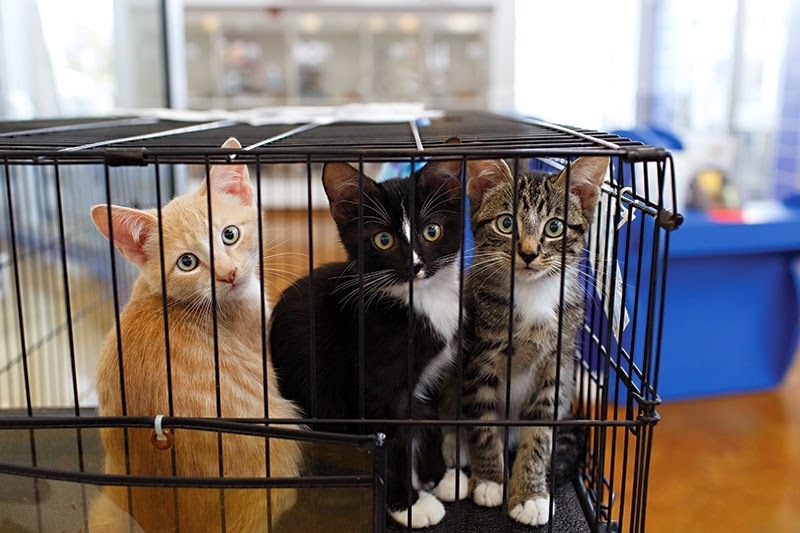 For the 2014 fiscal year, AAC took in 16,925 animals and euthanized only 1,033. Interestingly enough, despite our explosive population growth, the intake rate has actually been shrinking. Five years ago, it was nearly 21,000. Two years ago, it was 18,198. Since reaching the no-kill goal in February 2011, AAC stopped putting even sick or injured animals to death automatically. In fact, the shelter’s dreaded “euth list”—a daily compendium of animals slated to die just for being homeless—no longer exists. That’s the good news. The not-so-good news is that adoptable animals are still dying, or spending far too long waiting to be adopted. AAC and the aforementioned nonprofit shelters, plus a vast volunteer network of rescue groups and foster families, work tirelessly to find homes, but resources are always stretched, space is always scarce and large dogs remain hard to place—especially mastiff or “bully” breeds (any boxy-headed breed that looks like a pit bull, including boxers and rottweilers). If APA! or a rescue group doesn’t step up to help those with behavior or health issues who make it onto the “ATTN” list, their time can run out. And in some cases, those issues are directly caused by kennel life. Several factors determine their fate, from aggression ratings to whether they’ve been adopted and returned before. They could be listed after days, weeks or months. And animal welfare professionals who oppose no-kill say it’s better to let that animal go than allow it to continue suffering in a cage. But Smith insists that there is “no barrier” when it comes to saving animals. “In this day and age, I don’t want to hear any excuses. There are no excuses,” she says. For her, ending homelessness means preventing it in the first place. As for pets surrendered for behavior reasons, which often can be addressed with training, or their owners’ inability to afford vet care, advocates say the number would drop if access to affordable services increased. Currently, only the nonprofit Animal Trustees of Austin provides low-cost (and sometimes free) medical and surgical treatment for major problems. Though the Cameron Road clinic also provides spay/neuter and wellness services, Executive Director Missy McCullough says it’s restructuring to mostly target illness treatment and surgical procedures. As for the management of feral cats, including their spaying and neutering, that’s the domain of AHS, a selective-intake shelter that also accepts owner-surrendered animals. Since 2007, the West Anderson Lane shelter has spayed or neutered more than 37,000 cats, according to Executive Director Frances Jonon. Without new births, feral populations dwindle naturally. The cats aren’t suited to captivity, but can live healthy lives on their own, Jonon says. AHS also takes in animals from AAC. Of course, concerns about the metropolitan area’s growing population, which is projected to reach 2.3 million by 2020, extend to its animal citizenry as well. Emancipet CEO Amy Mills predicts Austin’s regional animal population will need 64,000 spay/neuters annually by 2020 to maintain or further decrease current shelter intake rates. Emancipet plans to handle 43,000 of those; last year, it performed 23,000. That means more clinics will need to be opened. Housing is another issue of increasing urgency; many of the high-rises filling Austin’s urban core have restrictions against bully breeds or larger dogs. Smith would like the city to mandate animal-friendly housing as part of any new residential development. If the city wants to save animals, she says, they need places to live. Smith’s strategies have helped Austin become the model for no-kill success, despite the fact that AAC’s facility, designed before the no-kill mandate and with an ill-conceived group-kenneling plan, has even less capacity than the decrepit Town Lake shelter, which was used for AAC overflow until safety issues prompted the city to stop housing dogs there in December. It’s also the rent-free home of APA!, which has an agreement with the city to take in harder-to-place animals and treat parvo-infected puppies and neonatal kittens. The city council extended APA!’s lease through May 2017, while AAC will soon add 100 kennels, including 60 to replace the overflow kennels. “[AAC] are the gold standard when it comes to a city facility,” says Mills. “Sheltering itself is imperfect by nature, because it exists to be a crisis management tool. But the Austin shelter is really the best.” Its clean, airy, almost cheerful feel undoubtedly helps facilitate adoptions, which Mills notes are well beyond expectations, with stays far shorter than the average 40 to 60 days she encounters at other shelters she visits. Smith says she’d like it to be 10 days, noting even 15 is impressive considering the intake volume. That stay length, combined with declining intake despite population growth, indicates the homeless pet population is declining, says Mills, and evidence (or lack thereof) refutes the notion that local strays are simply winding up as roadkill. And more incoming animals are already fixed, which can lessen adoption preparation costs. It also means the education component of the program is also working. Number of animals Austin Animal Center took in between September 2013 and October 2014. Of those, 1,033 were euthanized. Microchip your pet (Austin Animal Center offers free implants) and keep contact info current on ID tags. 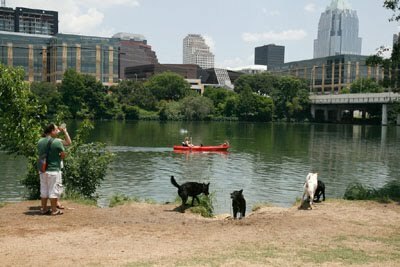 For lost animals, check the Found Pet Map (austintexas.gov/department/lost-found-pet) andfindingrover.com, a free app that uses facial recognition technology. 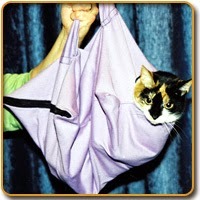 Emancipet offers free or low-cost spay/neutering, chipping, tagging and required rabies vaccinations. 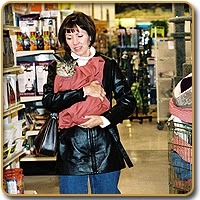 Foster care increases adoption odds and frees shelter space for another animal. You can volunteer to walk dogs or transport animals at animal shelters, or contribute financially to help cover costs. Rescue groups exist for almost every breed. Check out austinanimalcenter.org,austinhumanesociety.org, austinpetsalive.org and austinrescue.com. Sgt. Marcin Radwin with a mine-detection dog, photo courtesy Nancy Schiesari. Sergeant Marcin Radwin is on patrol in Zabul, Afghanistan. He and his dog, Dex, a lanky yellow labrador, walk together ahead of the armored vehicle carrying other soldiers. Dex’s job is to sniff out bombs hidden by the roadside—invisible threats that no human can detect. When Dex smells a bomb, he does what’s called a “stop and stare,” looking intently at the spot in question. Radwin relays the message to the unit. It’s a scene from the forthcoming documentary Canine Soldiers, produced and directed by UT Radio-Television-Film professor Nancy Schiesari. For the film, Schiesari—an Emmy-nominated documentarian who has worked for the BBC and National Geographic—followed Radwin and Dex from their training at Lackland Air Force Base and Fort Hood through deployment in Afghanistan and beyond. She and her production team—made up mostly of UT alumni and students—also spent hours filming other military dog handlers and their canine partners. As the first line of defense against improvised explosive devices (IEDs), they do some of the most dangerous work in the military, she says. Canine Soldiers also includes UT experts like psychologist Sam Gosling, who has studied the social psychology of working dogs and their handlers, and evolutionary biologist Beth Dawson. 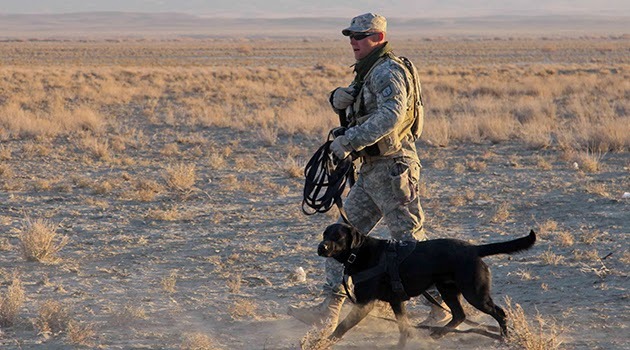 Their research shows that while military dogs are chosen for their extraordinary sense of smell, their ability to connect with humans matters more. A dog will only perform if it wants to please its handler, so the success of a mission depends on the strength of their bond. Ultimately, though, the military views the dogs as equipment. That means that after a deployment, the dog is returned to the base to be matched with a new handler, adopted by a family, or in a few cases, euthanized. Canine Soldiers explores that separation, which can be agonizing for both the handler and the dog. Many military dogs suffer from canine post-traumatic stress disorder. Schiesari and her team are still finishing the film, which will be distributed by KLRU. They hope to complete it by June, but they’re still working to raise an additional $80,000 to pay for filming and editing. Petco said Monday it has removed all remaining Chinese-made dog and cat treats from its website and stores nationwide because of concerns they have sickened thousands of pets and killed 1,000 dogs in the U.S. since 2007. The U.S. Food and Drug Administration says initial tests have not connected the Chinese jerky and rawhide treats to the illnesses, but the San Diego-based company and its rival PetSmart vowed in May to ban the snacks. 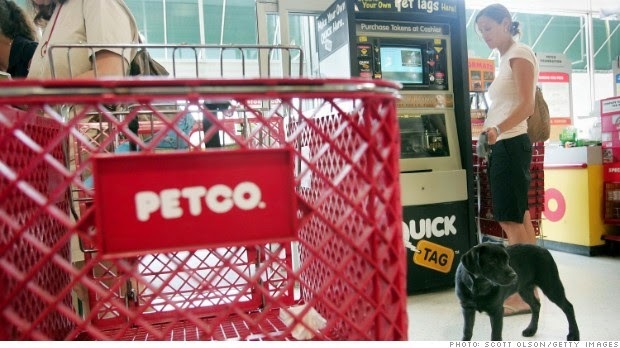 Petco is the first national pet retailer to pull the treats from its 1,300 stores. Phoenix-based PetSmart Inc. said Monday that it plans to have them off shelves at its roughly 1,300 stores by March. The FDA targeted the treats after receiving more than 4,800 complaints of pet illnesses, including the deaths, after pets ate chicken, duck or sweet potato jerky treats from China. Tests have not confirmed any connection, but the agency is still investigating. An FDA spokeswoman on Monday pointed to a news release from May about its investigation and declined further comment. Petco Vice President John Sturm said all treats are now made in the U.S. or places such as the Netherlands, New Zealand, Australia and South America. The company risked tens of millions of dollars by changing treat vendors, he said.